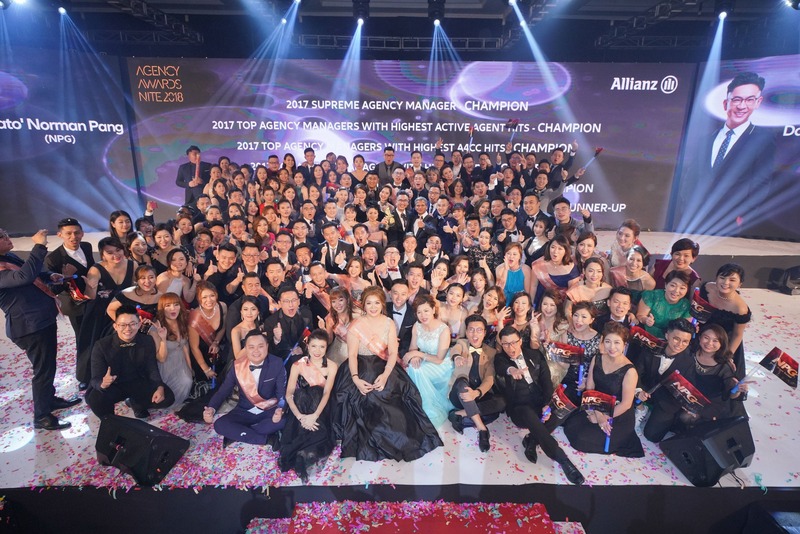 Kuala Lumpur, 8 June 2017 – Allianz Malaysia honoured 1,200 agents at its Agency Awards Nite 2018 at the Genting International Convention Centre (GICC), First World Hotel in Genting Highlands on 24 May 2018. Allianz Life Insurance Malaysia Berhad (Allianz Life) capped off a stellar year in 2017 having achieved RM452.5 million in New Business Premiums (ANP). “I am immensely proud of our agents and what they were able to achieve last year. Recording RM452.5 million in ANPs was a significant accomplishment. This success led Allianz Malaysia to be recognised together with our counterparts in Asia for delivering a strong profit to the Allianz Group’s total earning. Allianz stands strong today because our customers believe in us and our agents and partners do what’s right for customers when it comes to providing them with the best products, the best value and the best service in Malaysia,” said Joseph Gross, Chief Executive Officer of Allianz Life.